I'm rounding the last corner on my trip to try all the drive-in restaurants in West Virginia. 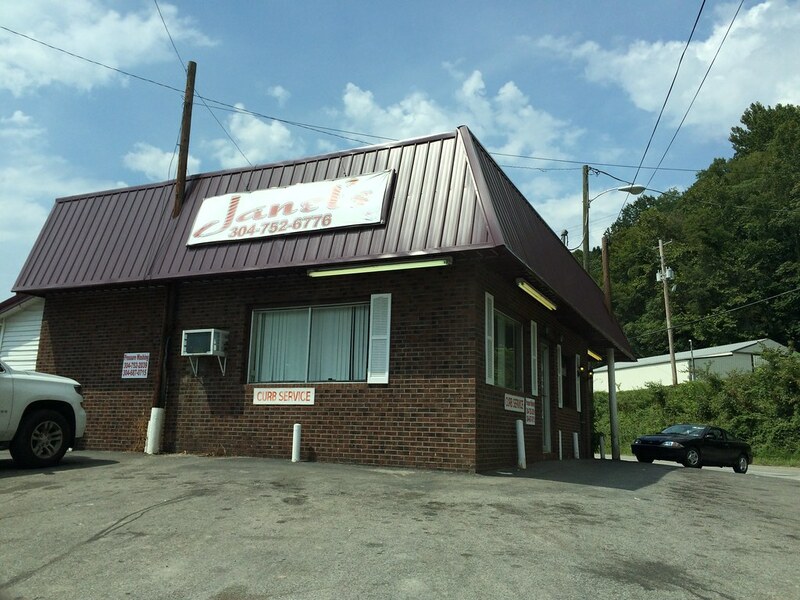 If you haven't been following along, West Virginia has just about a dozen drive-in restaurants left in the state. I love that there are some of these restaurants still leftover from a different era - more than a half century ago - when eating out wasn't the norm, and a trip to the restaurant was spent in your car with carhops on roller skates bringing trays full of burgers and shakes to you. The first drive-in restaurant was Kirby's Pig Stand, which opened in Dallas, Texas, in 1921. In North America, drive-in facilities of all types have become less popular since their heyday in the 1950s and 1960s, with drive-throughs rising to prominence since the 1970s and 1980s. Most of the remaining drive-ins are located in the southern part of the state. I've made my way to the Sterling Drive-In in Welch, the Pinnacle Drive-In in Pineville, the Tunnel Drive-In in Williamson, the King Tut Drive-In in Beckley, the Frostop Drive In in Huntington, Jim's Drive In in Lewisburg and Biggie's in Grafton (the last two have not yet posted at the time of writing this post). That means I just have a couple left in the Huntington area, one in Bluewell and THREE left in Logan. I'm much more likely to get to Huntington or Bluewell along my travels, so I planned a specific trip just to get to Logan (because who actually ever travels through Logan regularly?) to try these drive-ins. Yes, Logan has three drive-in restaurants. At first glance, I thought it was strange, too. However, it makes more sense once I read that all three are owned by the same family. According to the article, Jay Mayhorn manages Janet's Park & Eat, Parkway Drive-In, and, the most popular, Morrison's Drive Inn. 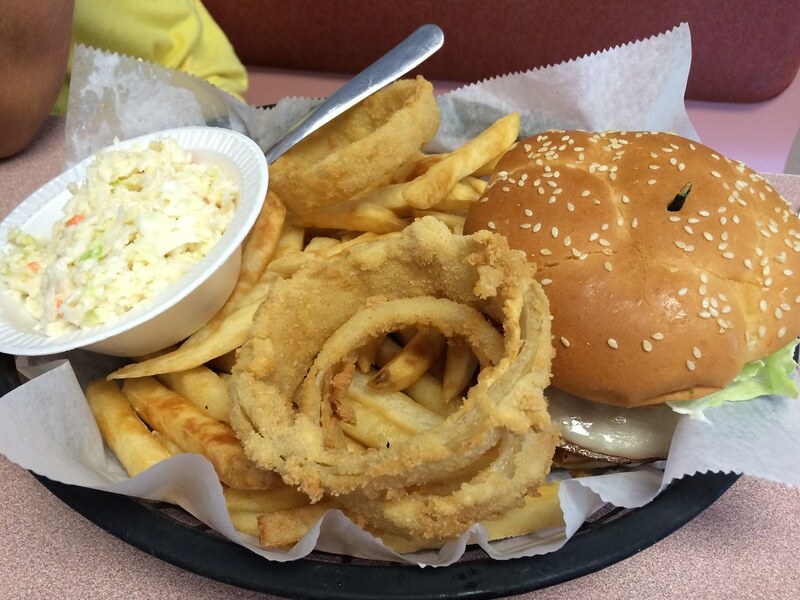 John Morrison opened Morrison's Drive Inn eatery in 1947. Jay Mayhorn's grandfather, Leonard Refeitt, started working there the next year and would eventually become the owner. When he died, ownership passed to Robert Mayhorn, Jay's father. 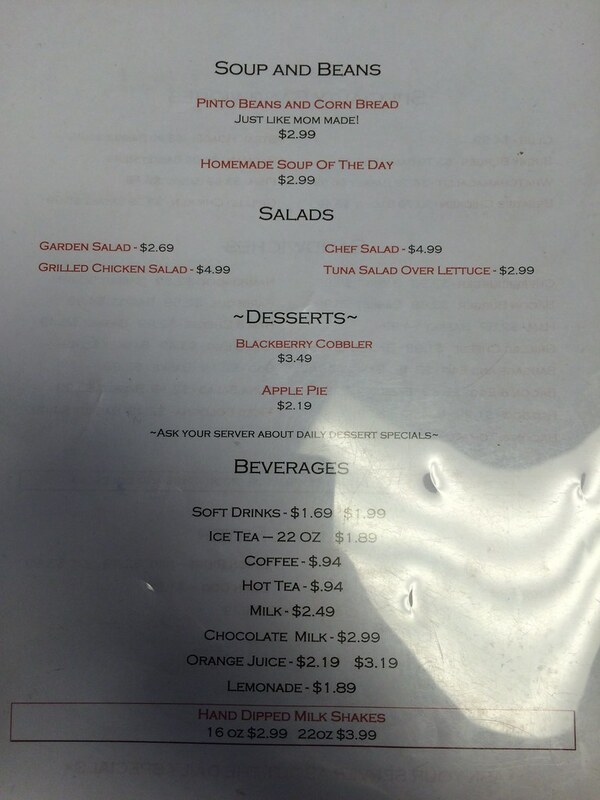 All three have similar menu items, but they each have their own recipes. 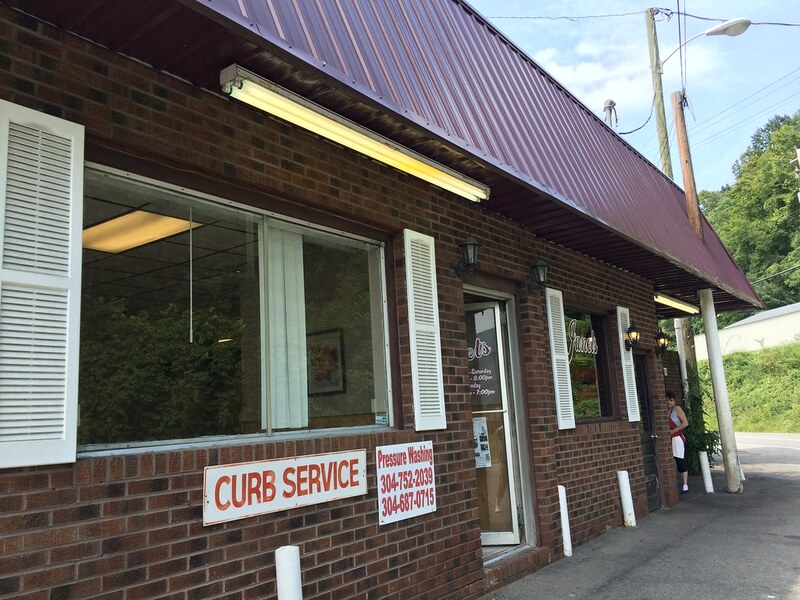 And for a town of 1,779 to support three curbside restaurants in 2015? That's pretty cool. I wanted to try all three. I met up with my friend BJ Hatfield to embark on a back-to-back-to-back lunch at Janet's Park & Eat, Parkway Drive-In and Morrison's Drive Inn. Up first was Janet's Park & Eat (mostly because it opens the earliest). 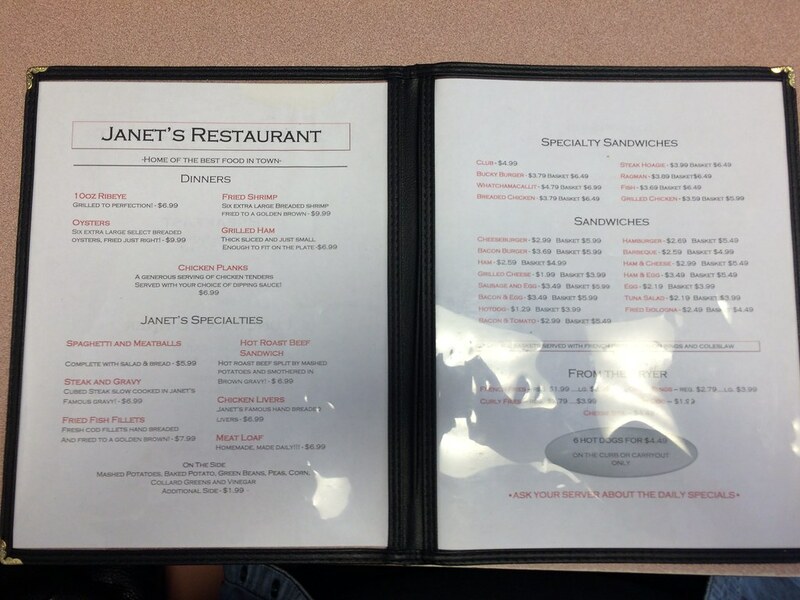 Janet’s is open 7 a.m. to 8 p.m. Monday through Saturday, and noon to 7 p.m. Sundays. The restaurants was fairly quiet when we first pulled up. In fact, I wasn't sure they even actually offered curb service anymore. They assured us they did, and later on as we were leaving, I did see a carhop taking an order on a paper pad, running it to the kitchen and returning with hot, often fried food. But for this first stop, we actually went inside. 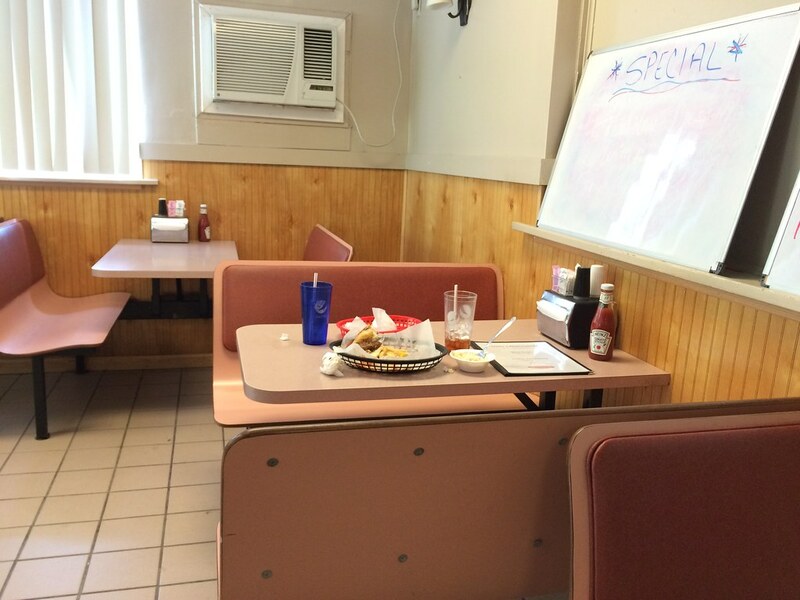 There are a few separated dining areas with old-school booths. We grabbed a seat nearby and a server immediately stopped by. 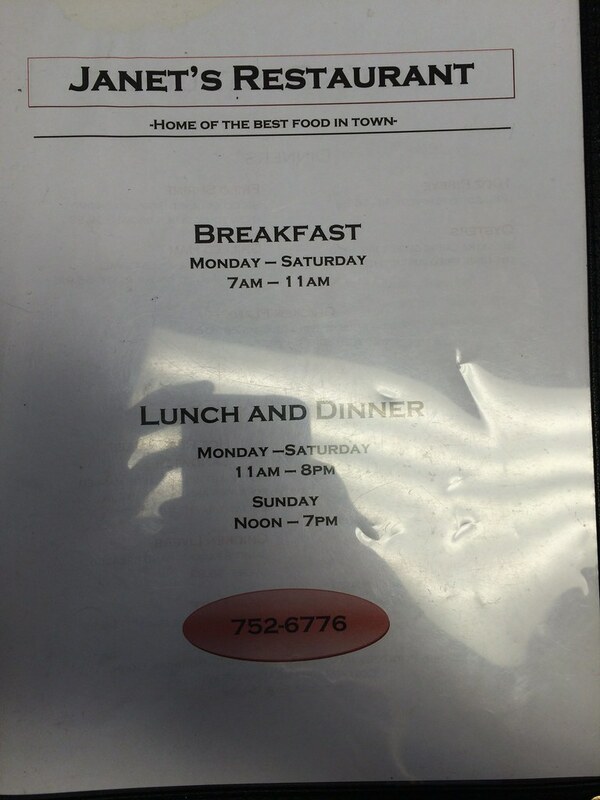 The menu spans everything from a 10 oz. ribeye and oysters to spaghetti and meatballs and chicken livers. I remember reading that the three restaurants are known to have good hot dogs, good cheeseburgers and good chicken. So, why not spread the love? I ordered the breaded chicken specialty sandwich here. 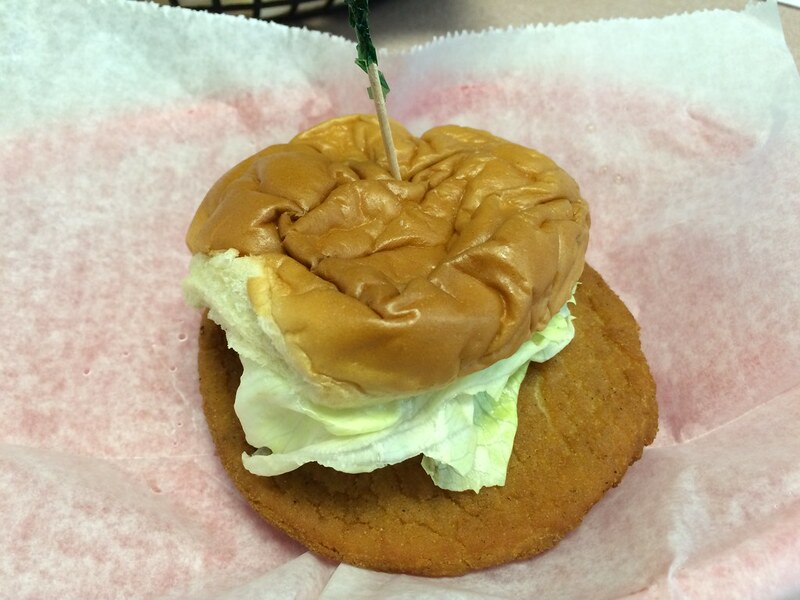 BJ opted for the "Whatchamacallit," which had fried bologna, salami, lettuce, and onion. Considering I still had two more lunches to eat after this one, I didn't get the "basket" option. When my sandwich came out, I realized that maybe I should have gotten the chicken planks to get the chicken that everyone was talking about, because this was a chicken patty. But, it was actually really tasty. It was lightly breaded but not dry or minced. It was tasty. As for BJ's whatchamacallit, I think he was happy, too.